Patient “falls” are the most frequently reported patient safety event in BC PSLS, accounting for nearly 40% of all events reported in our provincial database. Falls can lead to loss of mobility, serious injury or even death, which is why many healthcare facilities across BC are becoming increasingly proactive with their falls prevention and intervention strategies. At Bradley Centre, a 90-bed residential care facility in Chilliwack, BC, staff is particularly dedicated to preventing injuries due to falls. As Residential Care Coordinator for the past 12 years, Anne Fleming oversees quality of care for Bradley Centre’s residents, ensuring they are comfortable and safe with the least use of physical, environmental or chemical restraints. 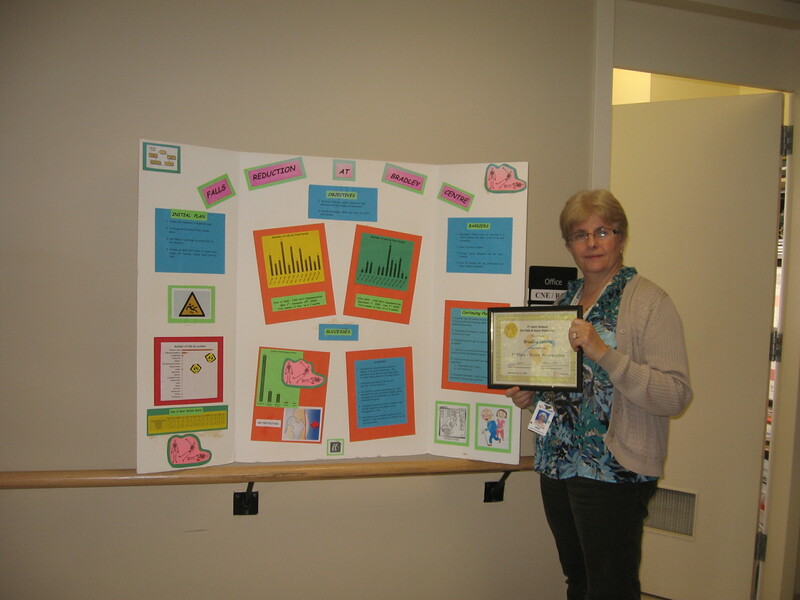 When Fraser Health rolled out its “least restraint” policy in 2009, Anne and her colleague Sylvia Robertson, Bradley Centre’s Occupational Therapist, initiated a joint venture on falls and injury prevention, using their PSLS data to learn more about when and why resident falls occur. Applying what they found, Anne and her team implemented staff scheduling changes to allow for additional care aides who would start their shift at 6:00 am and assist the night staff with the residents’ morning routines. Furthermore, education about the benefits of hip protectors was a key strategy. 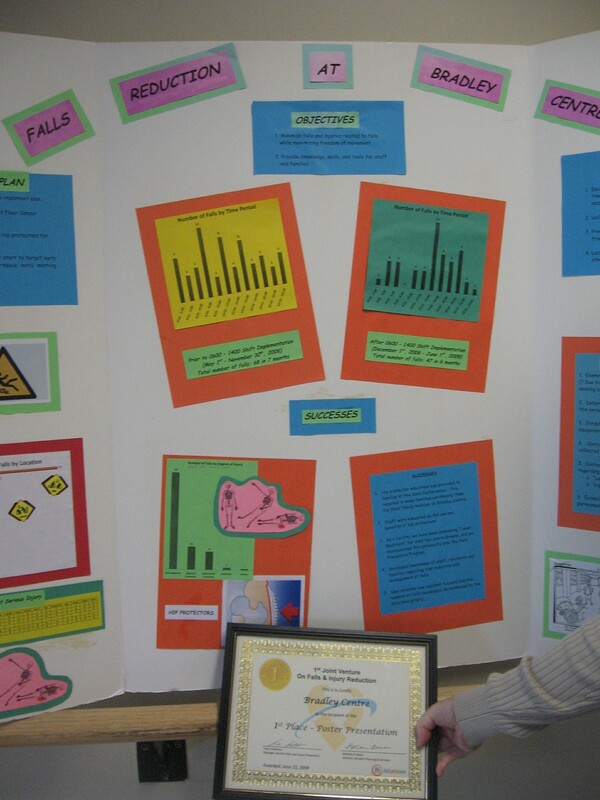 Anne and Sylvia presented their innovative approach at the Regional Falls Intervention Program and were recognized with a first place award for their poster presentation, creative ideas and positive outcomes. While falls still occur at Bradley Centre, as is expected in residential care settings, the efforts of Anne, Sylvia and all the staff have made a significant impact on the frequency of fractures.